small (ish) suggestion regarding mechanics of all interstellar movement. Charge represents the current state of the wormhole as per Gazz' suggestion about Honor Harrington esque wormholes. Charge directly correlates to the mass currently able to move though the wormhole. for ease of understanding i'd make it an 1:1 correlation. both sides of an wormhole connection share a single charge. wormholes can be given charge by natural or technical means. artificial means can be used for charging wormholes. they use energy and maybe some kind of special fuel to convert it into WH Charge. natural wormholes have natural self-charging capabilities, so they recharge without external input. artificially created wormholes have 0 self-charge. the constant is derived from the distance the wormhole bridges and gets higher with the distance. to make double-gate structures the most efficient setup. and to prevent jumpgates being used as on-demand ways for capital ships. ship-based WHM and Stationary WHM are no different in principle, they differ only in stats. Ship based ones are in general trimmed for small size and big burst output, but have big energy needs. so they need burst capacitors bound to them to provide enough energy to open a wormhole large enough for the ship to pass through. smaller wormholes can be maintained indefinitely, proportional to the ships generator capacity. balancing should be choosen so that the "stational" state for WHM is never strong enough for a ship to move through itself. but it can be used as mobile jumpgate for smaller ships. stationary ones have in general less throughput (max charge / time) per unit size than mobile ones, but are in general much more efficient. they use less energy/fuel to accomplish the same connection as an mobile unit, but are too unwieldy for mobile usage. it should also take a few seconds to minutes for a jumpdrive to charge the wormhole up to usable levels (for the wormhole creating ship). wormhole connections can only be established without penalty if there is a "line of sight" between the source and target system. the blocking radius is determined by the mass of the star. if the line of sight is blocked by a stars mass the discharge-constant gets significantly larger proportionally to the distance inside the blocking field. so if the connection line does only skim the blocking radius you may still can establish the connection, but with a large penalty to its capacity and lifetime. mass (gravity) near to the wormhole's mouth does increase the discharge constant. Last edited by Cornflakes_91 on Tue Apr 29, 2014 9:36 am, edited 8 times in total. Last edited by Behemoth on Thu Apr 24, 2014 10:47 am, edited 1 time in total. For gates and holes (artificial and natural, respectively), sounds understandable. For jumpdrives however, what? Will elaborate when it seems ready. accientally hit "submit" instead of "preview"
Last edited by Cornflakes_91 on Thu Apr 24, 2014 1:08 pm, edited 1 time in total. Where Q is the charge of the wormhole; c, k are positive real constants; Pgen is the constant power supplied by the WHM; P0 was the power supplied by the WHM just prior to the moment of deactivation; t is a positive real value representing the passage of time. The player doesn't need to know or understand these equations - by modelling wormholes after capacitors, they should behave intuitively as you charge and discharge them, and that's what matters. Where Q is the charge of the wormhole; c, k are positive real constants; Pgen is the constant power supplied by the WHM; P0 was the power supplied by the WHM at the moment of deactivation; t is a positive real value representing the passage of time. it does not make much of an difference if they are using 1/t or e^-t.
but 1/t gives easier formulas for the player to gasp and make it easier to calculate inceases in the charging speed. 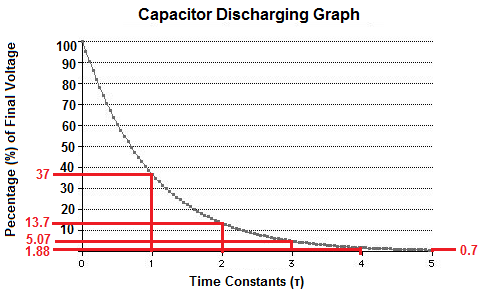 as increasing voltage on already charged capacitors give strange forms, which are harder to calculate than just iteratively adding charge. its just a binary yes-no question. either there is enough charge at the moment you "jump" or not. if the charge gets too low the frame before you jump, you dont jump. the running start does not interfere at all with my suggestion. Should it cause structural damage to a vessel to be within a generated low-charge wormhole that collapses while the vessel is still inside? ThymineC wrote: Should it cause structural damage to a vessel to be within a generated low-charge wormhole that collapses while the vessel is still inside? i assume wormhole travel being instantaneous, so.... there is no "still inside"
Well what I mean is, if you generate a wormhole that's not got enough charge to jump you, you don't jump right? But you'd still be physically inside the mouth of the wormhole. OK, so... What if there is something you jump "on top of"? Telefragging? Why? How does a wormhole know you are a single object? referencing freelancer: you were able to physically fly through wormholes without interacting with them at all. i assume a similar mechanism here. if there is not enough charge in the WH you dont interact with it. or dont interact with it until you activate the "use wormhole" function. Behemoth wrote: OK, so... What if there is something you jump "on top of"? Telefragging? Why? How does a wormhole know you are a single object? Last edited by Cornflakes_91 on Thu Apr 24, 2014 11:48 am, edited 1 time in total. Cornflakes_91 wrote: referencing freelancer: you were able to physically fly through wormholes without interacting with them at all. That still doesn't answer my question, though. If you're physically located inside the wormhole mouth without jumping through it - whether that's due to insufficient charge or just choosing not to interact with it - should your vessel sustain structural damage if it then collapses or not?